Move into your new home without the frustration and stress. We're with your from the beginning to the end of your long distance move. 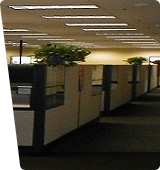 When its time to move your office or warehouse its important to choose a company with a proven record of success. Hello and thank you for taking the time to consider us as your moving company, especially considering the many Tampa movers out there. Here at Brothers EZ Moving we have accumulated the best local and long distance moving reputations in the Tampa Bay area. 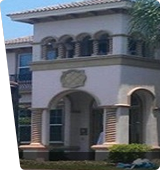 We strive to be one of the very best Tampa moving companies by exceeding your expectations from the first phone call to the final customer courtesy call. We are among one of the best reviewed Tampa movers, including Google where we hold a 4.9 rating, the highest in the Tampa Bay area. We have an “A” rating from the Better Business Bureau, an “A” rating on Angie’s List, a 4.5 rating on Yelp, and we won the Super Service Award in 2012 2013 and again in 2014. Our fee includes fuel, travel time and tax. We like to make things as EZ as possible by charging one simple hourly rate that has everything you need already included. We hope you choose us as your moving company. We are a professional moving company and we take pride in our job. We start by giving you a very honest and realistic quote. We like to show up on time and get right to work with the right attitude. We will blanket and shrink-wrap all bulky furniture before it leaves your home to ensure maximum protection of not only the furniture but also to protect your door jambs, floors, ceilings, and walls. 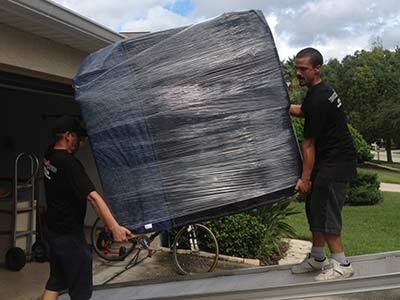 Our crew of professional movers in Tampa will work fast and hard to complete the job as fast and as safely as possible. I guarantee that you will never question our work ethic. Moving can be one of life’s most stressful situations and it is our goal to treat our customers like family and so we provide the very best service possible. We proudly provide our moving services in Pasco, Pinellas, Hillsborough, Hernando, Manatee, Sarasota, and Polk counties. Call us at (813)505-2560 or click the Estimate button above for a free estimate of your move.